What makes a great doctor? How useful are online reviews and “Best Doctor” lists? Dr. Michael Suzman’s Tips for finding the best physician or surgeon. 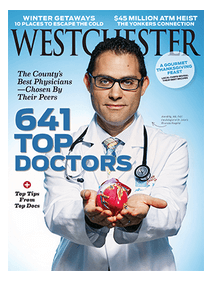 When the I was honored this month by being included on the “Top Doctors” list in New York Magazine and Westchester Magazine,it was very nice for me and our entire staff to be recognized again. We have truly dedicated all our efforts to make each patient interaction one of caring and excellence. But does making a list or having a strong online presence on Google searches guarantee a great doctor for you? The answer is maybe. Online advertising dollars and strong efforts to getting happy patients to vote go a long way to making a polished image. Often the first doctors to come up on web searches seem to have the highest advertising budgets and are not necessarily the doctors who have published or innovated in their fields. For this reason, a strong recommendation from your primary care physician or another doctor is also very helpful. Of course, some doctors on the first page of Google searched might be ideal for you. Balancing reviews with physician and friend recommendations is very important. In fact, the Castle Connolly Guide to top doctors is based on physician voting of their peers. The only way to get listed is to take care of hundreds if not thousands of patients referred from many different doctors and provide great outcomes. From a doctor’s perspective, many of us were taught in our training, with a bit of humor, that the good doctor must have the “ three A’s”: Availability, Affability and Ability-- in that order! There is a lot of wisdom in this saying. Many of us grow up thinking that the very best doctor has a brilliant mind with superior diagnostic skills or surgical wizardry-- so we can forgive an arrogant manner, gruff attitude, or impossibility of actually reaching them when you need to. All things being equal, if you find a brilliant doctor who is kind and caring and makes time for you as well-- isn’t that truly the “BEST DOCTOR”? You can rely on online reviews if you keep an open mind (a few negatives is not a bad thing- when it comes to treating human health, there are always some less-than-ideal outcomes). You can trust reputable best doctors lists if you know that some great doctors are not on the list, and some on the list might not be the best fit for you and your specific problem. Balance the online information with your doctor's recommendation (nurses' recommendations are vital too!). Ask your friends and colleagues who they might have used and how their experience was. Now take all this information, and make an appointment or two. At this point you should be meeting with a highly trained and regarded doctor, so now it's all about your feelings and instincts. Ask yourself how comfortable you are with their style, communication, office staff, and general office environment. In our current healthcare system, we should add an additional “A” to the three A’s of Availability, Affability, and Ability. And that is A for AFFORDABILITY. Healthcare is expensive. Amazing technological advances require high tech machinery, software, expert staff, and facilities. These modern essentials allow a physician to keep you healthy and extend life meaningfully, but with significant financial investment (and because of our very litigious environment, costly liability insurance). Because healthcare is expensive, it is essential for each patient to understand their health insurance benefits, and this is not always easy. The most affordable options will be seeing doctors who participate with your plan (in-network). They are paid more affordable rates by your insurance. There can be OUTSTANDING physicians who are in your network. In many cases, they work for larger medical groups or hospital centers or medical schools. There are some practices that take the lower reimbursements of insurance networks, and run overly busy practices to make up for the revenue shortfalls. Finding a practice that strikes the balance between really busy and personal attention is ideal. Hopefully, you now have the keys to finding a doctor you are very comfortable with-- and we wish you the best of health! Michael Suzman, MD is a NY plastic surgeon with WESTMED Medical Group, a leading multi-specialty group in Westchester County, just north of Manhattan, He specializes in Plastic and Reconstructive surgery, including skin and breast cancer care, facial, breast and body surgery. www.westmedgroup.com/plasticsurgery.